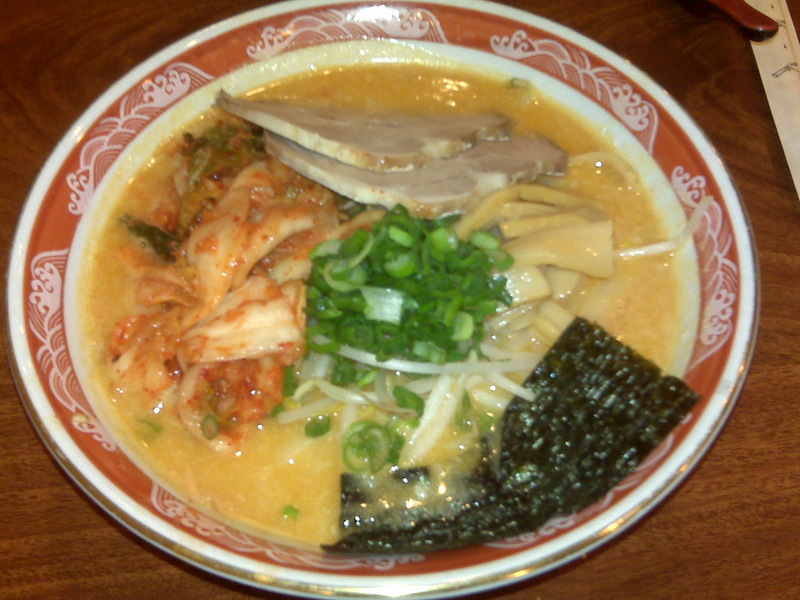 This entry was posted on March 26, 2008 at 7:33 am and is filed under Destinations, Ramen, Restaurants, Reviews with tags New York, Ramen. You can follow any responses to this entry through the RSS 2.0 feed. You can leave a response, or trackback from your own site. 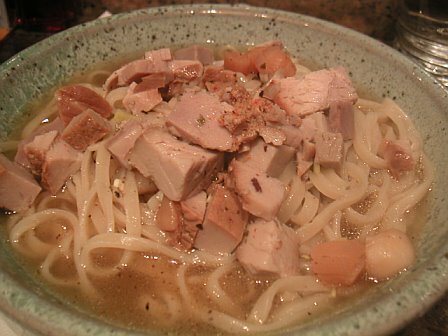 The tsukemen look delicious as well as those seriously large chunks of pork from Setagaya. 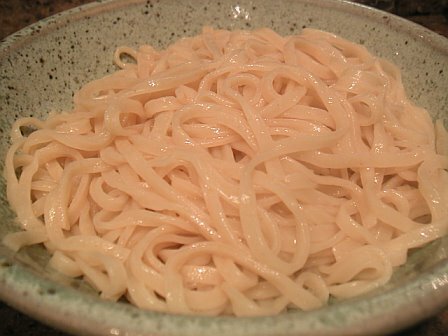 The ramen from Santa looks pretty standard. I’ll be up in SF this weekend, maybe I’ll check it out. Thanks for the great writeup. 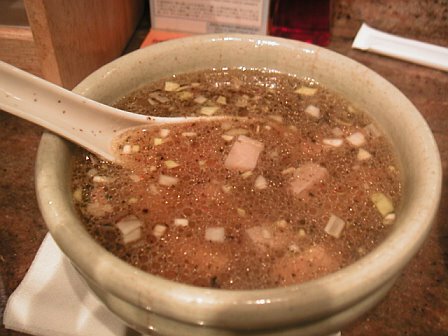 You don’t like the tonkatsu broth at Santa??? How is that possible?!? Their regular roasted pork really is nothing special…but their stewed pork is worth writing home about. If you want fat, there’s definitely some fat in both of those! 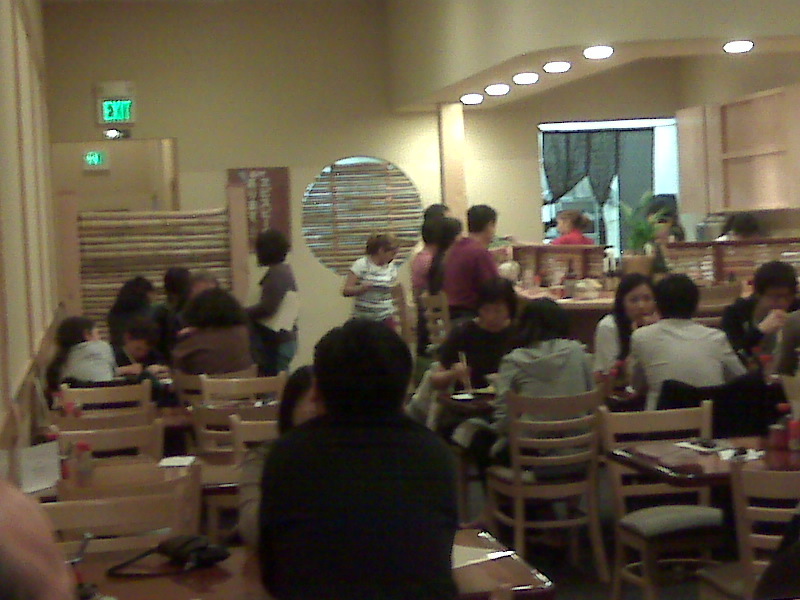 You gotta get there early to get both the tonkatsu broth and the stewed pork b/c they always run out of both. I didn’t try the tonkatsu broth, so there’s no way I could have liked/disliked it…I got there too late to try the stewed pork. What time to you have to be there to get that? Why don’t they just make more of it so they don’t run out? I guess I should have consulted with you before Andy took me there! Get there at least 10-15 minutes before the beginning time for Lunch or Dinner. 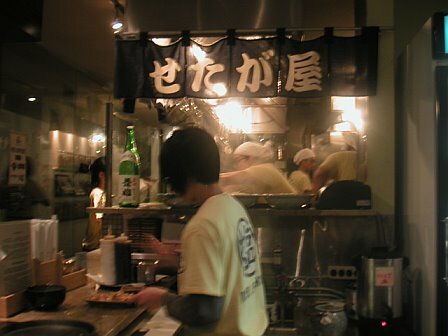 Lots of people bemoan the lack of supply to meet the demand of the tonkotsu broth (I misspelled earlier – tonkatsu is deep fried pork) and the stewed pork. Perhaps they are restricted by the laborious cooking process; both of these have the intensity of flavor that can only be achieved from hours upon hours of cooking on a low flame.